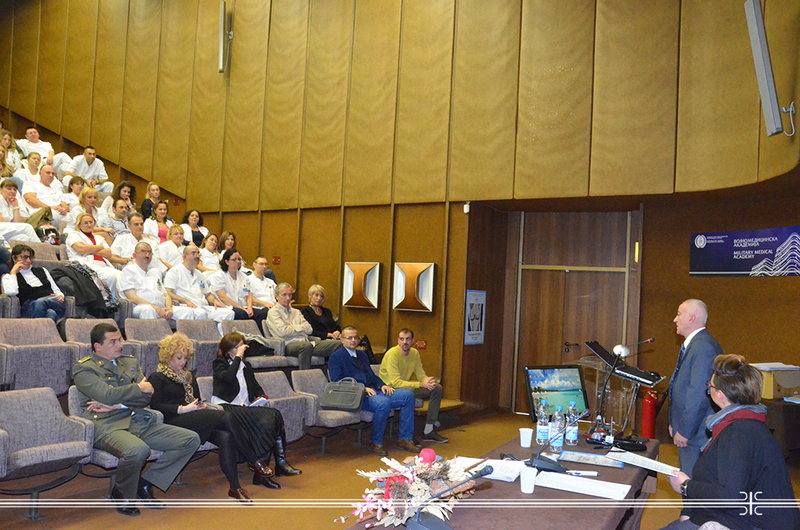 Continuing medical education on magnetic resonance imaging of the knee joint, organized by the Association of Radiologic Technicians and Nuclear Medicine Technicians of Serbia and the Institute of Radiology MMA, was held at the Military Medical Academy. About this non-invasive method of radiological diagnostics, which is considered the gold standard in the diagnosis of the pathology of the knee, the vocational medical radiologist Mirjana Kapor and Major Dr. Ratko Stamatovic from the Institute of Radiology MMA spoke about. As it was discussed during lectures, despite the fact that magnetic resonance imaging (MRI) is widely used in the diagnosis of the entire musculoskeletal system, it has a particularly important role in the examination of the knee because it provides highly sensitive and clinically valid image of injuries and diseases. In addition, MRI of the knee is considered as a necessary step before deciding on arthroscopic and operative interventions with the aim of precise understanding of the current changes. Participants had the opportunity to learn more about the anatomy of the knee - one of the most complex joints in the human body, the indications, planning and specificity of MR examinations, but also about patients’ preparation and protocols being presented with many examples from the MMA clinical practice.